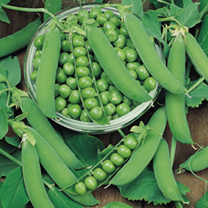 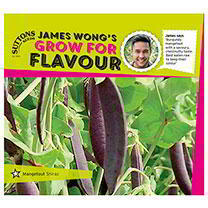 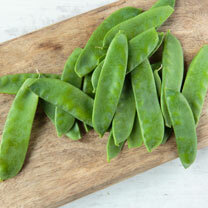 For the best tasting peas you have to grow them yourself as the sugar in the seed/pods quickly changes to starch. 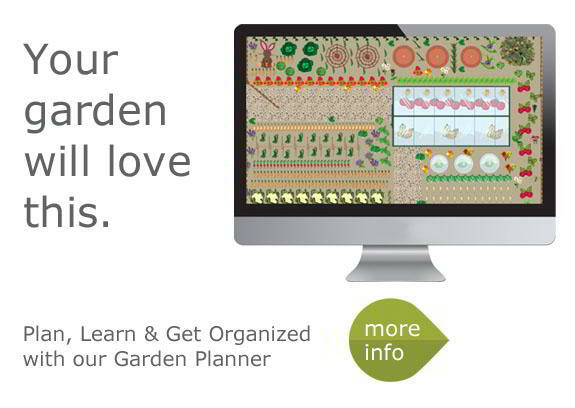 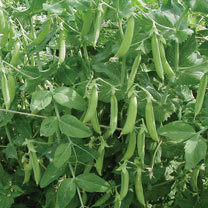 Choose from Seeded, Snap or Mangetout types. 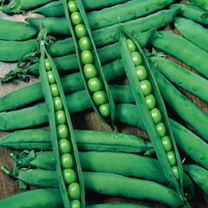 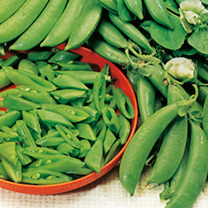 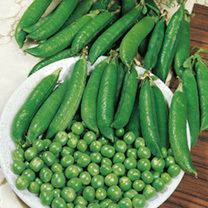 There are two main types of Pea seeds ; round and wrinkled. 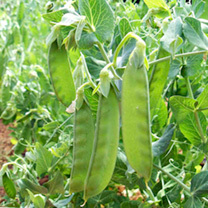 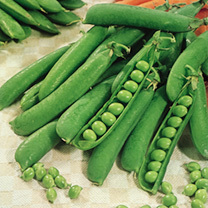 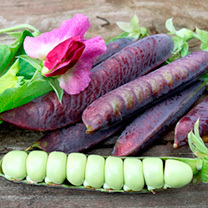 Round pea seeds are hardy and can be sown in late autumn or between January and March and wrinkled pea seeds need to be sown in succession between March and June. 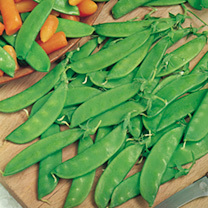 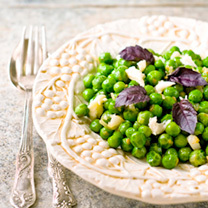 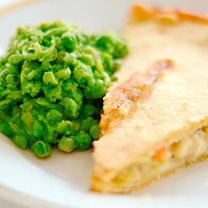 Both types will produce delicious tasting peas for you to enjoy! 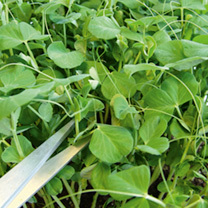 Pea seeds need to be sown in two lines 5cm apart at a depth of 50mm. 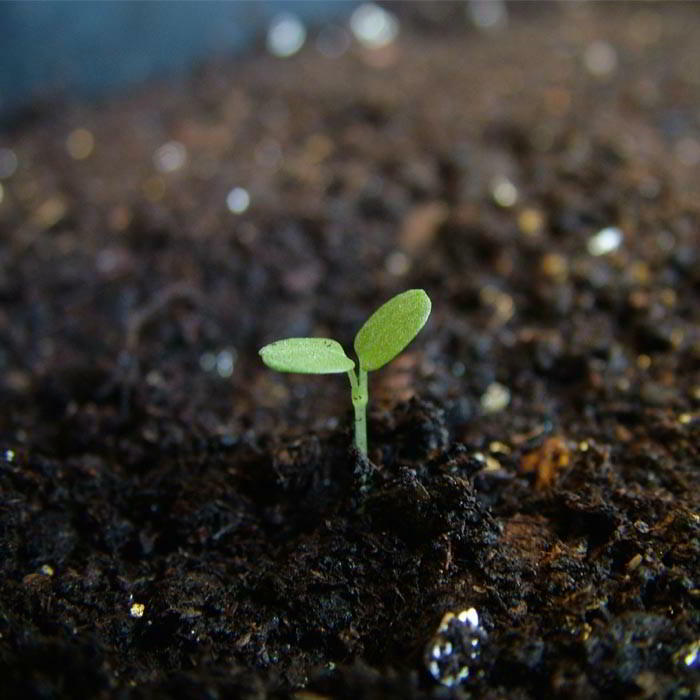 The seed should germinate with 7 to 10 days, and reach maturity within 12 to 14 weeks. 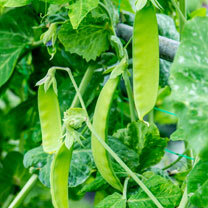 It is advised to support all pea plants with twiggy sticks or pea netting, and grow in a sunny area. 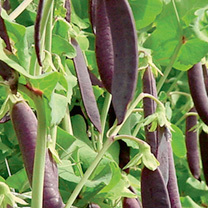 What is eating the leaf edges on my peas? 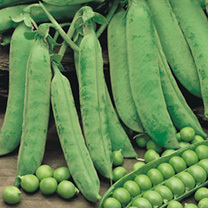 How can I control powdery mildew on my peas? 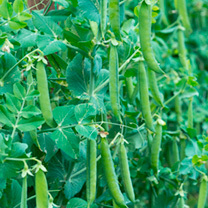 Spray the plants with a fungicide suitable for use on vegetables such as Organic 2 in 1 Pest and Disease Control produced by Vitax. 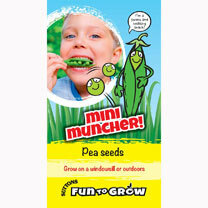 As with all chemicals follow the manufacturer’s recommendations. 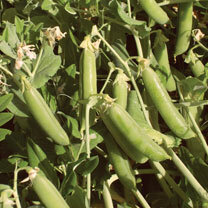 The variety Ambassador is resistant to powdery mildew.